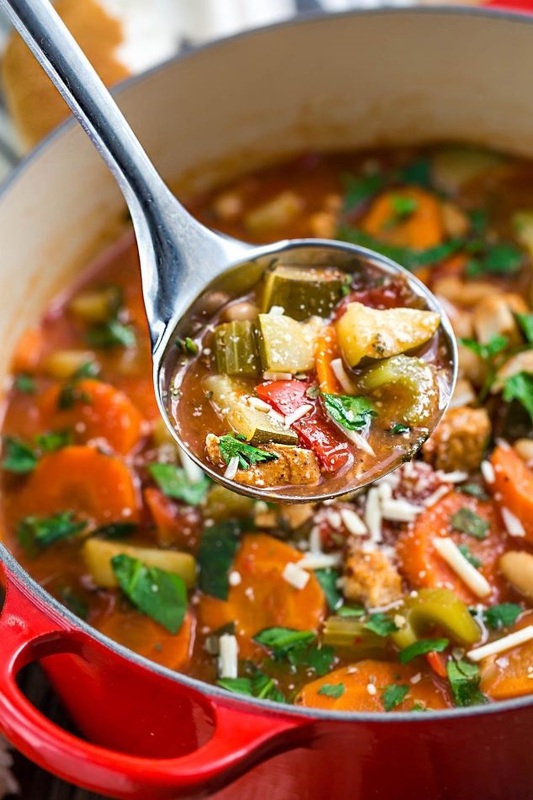 Hearty Vegetable Chicken Soup makes the perfect comforting meal. Best of all, it’s so easy to make and full of hearty vegetables, white beans, and chicken. This soup is so easy to make ahead and also a perfect freezer friendly meal. 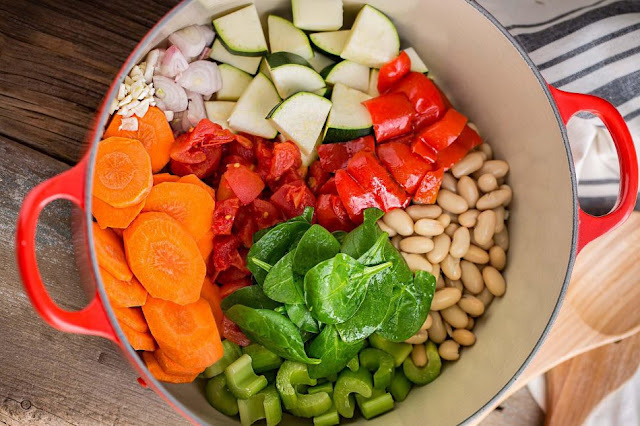 Chop the vegetables ahead of time and store in a clear zip-top bag or glass container, if using dried beans, cook them ahead of time, drain and freeze, soup stores well in a sealed container in the fridge for up to 5 days also freeze extra for easy lunches and dinner for up to 3 months. In a large pot over medium-high heat, add the butter and olive oil. Add in the onion, garlic, carrots, and celery and saute for about 4-5 minutes, until tender and fragrant. Stir in the zucchini and red pepper and cook for another 2 minutes until slightly softened. Sprinkle in the flour to create a roux and cook for another minute. Slowly add 1 cup of the chicken broth while continuously stirring until it starts to thicken and comes together. Then slowly pour in the remaining chicken broth. Stir in red pepper flakes, beans and entire can of tomatoes. Bring to a boil, stirring frequently. Add the chicken and reduce heat to low and simmer uncovered for 25-30 minutes. Stir in the spinach and cider vinegar and cook for an additional 3-4 minutes or until everything is heated through.